Luwia is the first and only fresh-cultured, slow-fermented yoghurt brand of the Netherlands. Crafted batch by batch; purely with Rotterdam’s grassfed milk, live cultures and hours of patience. Apart from milk, we believe that two factors determine the quality of yoghurt: duration of fermentation and type of yoghurts’ starter cultures. We thrive to be radical in both processes. Instead of industrial/powder forms of starter-cultures we only use the fresh live cultures of our previous yoghurt batch. Result? An intensely unique tasting live yoghurt and natural probiotics! ‘Isn’t every yoghurt fresh?’ No! It’s like the difference between concentration juice vs freshly-squeezed juice: the differences of taste and nutritions are remarkable. Our fresh milk is naturally boiled without UHT and our fresh live-cultures are only taken from a previous Luwia batch instead of powder/industrial starter-cultures. Due to its’ freshness, Luwia should be consumed within two weeks. Our signature sweet-sour flavour and natural texture comes from simply using fresh grassfed milk and probiotic live cultures. There are absolutely no additives, added sugar, industrial starter-cultures, thickeners or any type of modifications such as added protein in our yoghurt. We follow the oldest-known traditional methods to offer what Mother Nature gave us. In a fast-phased world where most industrialized food is loosing its’ original taste and nutritions, we believe that slow-food is the key of a healthy diet. 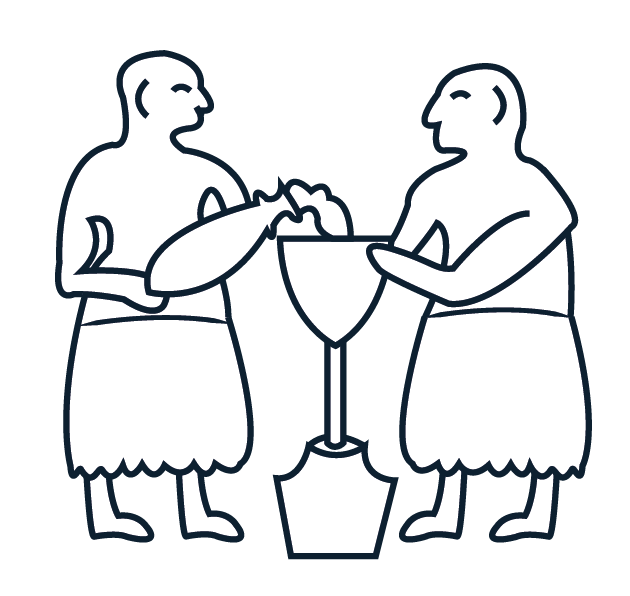 At Luwia we honor the old-worldly way of food craftsmanship and slow-fermentate our yoghurt. No machinery or no short-cuts are involved. It takes us about 2 days to produce a batch of fresh, slow-fermented yoghurt. Pure yoghurt zoals het hoort. Een eerlijke yoghurt die met veel liefde wordt gemaakt. Pure yogurt as it should be. An honest yogurt made with lots of love. Nooit geweten dat yoghurt zo kon en behoorde te smaken. Never knew that yogurt could and should taste like that. My whole life was a lie! Eating Luwia made me realize that I actually never ate fresh yoghurt before. Best yoghurt ever. Luwia took me back to my childhood. Tastes just like grandma’s yoghurt. I love it. Kerem and Hande suggested me to try Luwia with lunch and dinner instead of just breakfast, and they were so right! I’ve never tried a yoghurt with such unique taste before, it goes well with literally anything! Goodbye all kinds of unhealthy sauces-hello Luwia! In the morning you have fresh fruits delivered to your office…But what about fresh yoghurt or a colorful breakfast? Every day we spend a great amount of time in the offices and your choice of office-food sets your eating routine. That’s why, to Rotterdam offices we offer a weekly fresh yoghurt subscription to make sure you consume the freshest yoghurt possible during the day. Spaces are limited, get in touch with us to get more information about subscribing! The word Luwia means ‘People of Light’, and resembles the ancient tribe Luwians, who were speculated to be one of the first milk & dairy processors. As a brand, our philosophy is to offer the most honest, purest form of dairy which has not been changed by industrialization.